The method is used for over 10 years in the world, now for the first time in Romania! 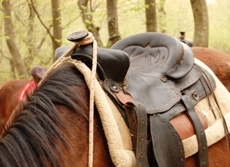 Horses ignore the title or position that you have in an organization. They accurately reflect our behavior and give honest and immediate feedback. Horses are animals that live in groups. They need a leader who knows the destination and the safest way to get there. Therefore they respond only to a congruent leadership style. All activities are designed to simulate actual scenarios from the workplace. Assisted by a psychologist and a specialist, each participant must convince the horse to follow a certain route with obstacles. If you manage to convince a horse to trust and follow you, you'll be able to realize your attitude and what is the appropriate relational towards people. The horses can help us (re)learn to activate and cooperate with others without being authoritarian! All activities are filmed, review and analyzed in detail with our team of specialists. frequently and that prevent us to reach our goal. understand what methods work and ar more influent with others. a positive change in behavior.